Up until about twenty years ago, local newspaper classifieds were still popular in use. Newspaper classifieds provided an invaluable resource to individuals who were either looking for work or employers seeking employees. It also allowed people to place ads either to sell or buy products. However, in the age of digital media, people are more apt to use online resources for classifieds like Craigslist, eBay, Monster, LinkedIn, and many more. Before the internet, reading the Sunday newspaper was a morning tradition in most households and the classifieds definitely gave us a peek into what was going on locally too. 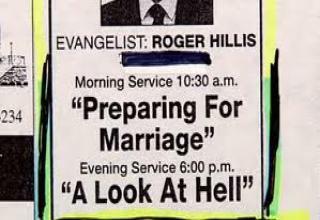 Most of the time, the ads in the paper were business as usual. 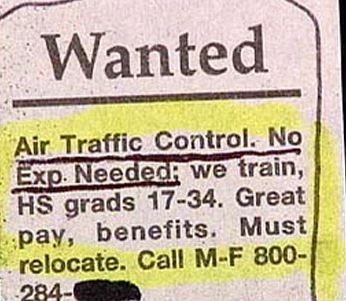 Other times, you’ll catch an ad with a hilarious typo or an ad so wacky that you have to laugh. 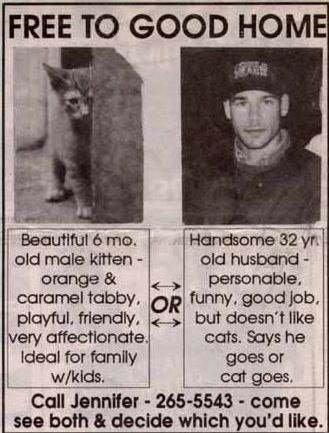 For this reason, we’ve put together a list of some of the zaniest newspaper classifieds for you to read and have a good chuckle at! 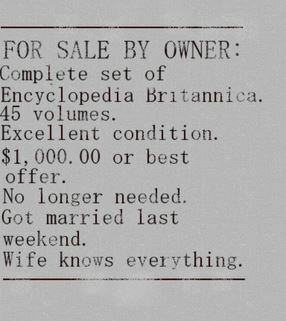 The Encyclopedia Britannica announced back in 2012, after 244 years that they were putting a stop to printing new editions. Any future editions would be digital and online. 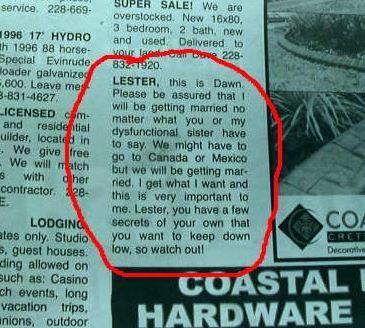 For this newly married guy, he’s not in need of print or digital moving forward! Hilarious! 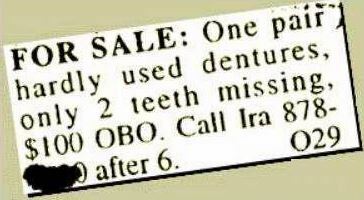 Doesn’t sound like these dentures were in ‘mint’ condition! LOL! Can we get an ‘Amen’ for this husband and father? Sometimes, life can be overwhelming and we feel like we’re losing our minds but having a sense of humor will surely lighten the stress of everyday. 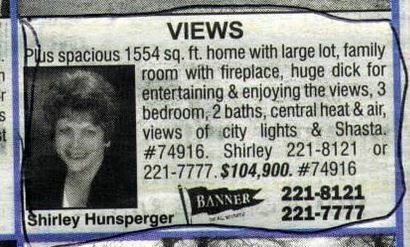 While Jennifer’s ad is funny, there’s probably some truth to it! Fighting over a pet or pets is becoming more common nowadays in relationships. There’s the issue of allergies, financial responsibilities, time commitment, and pet behavior that one partner may not be in favor of which can lead to conflict. As if plane travel isn’t already stressful, now we have more to be concerned with! This unfortunate ad placement is too funny! 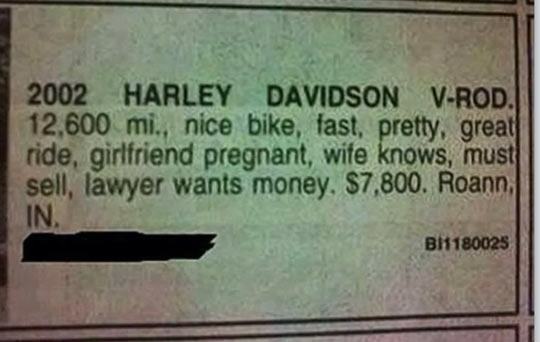 This cheating husband really needs to sell his Harley motorcycle and got right to the point with his ad! He definitely got his ‘pickle’ in a pickle, wouldn’t you say? No thanks to this Thanksgiving turkey! This embarrassing typo may or may not have sold the place…we don’t know. Talk about airing your dirty laundry out in public! Hope these ads gave you a few laughs today. Please share with your family and friends!